Are you looking for a towbar for your car that becomes completely invisible after use? 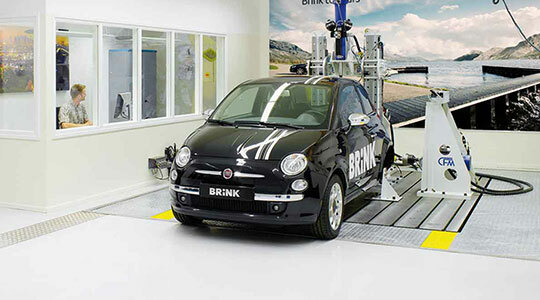 Then the Brink vertical detachable towbar is the perfect solution. You can take out the ball and store it in the boot. With most towbars you can also fold away the socket plate behind the bumper. Check the details of your specific towbar on our website. Are you looking for a detachable towbar that excels in user-friendliness? You will find the diagonal detachable towbar is the solution. In no other detachable system is it as easy and effortless to unlock and lock the ball. 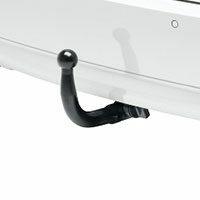 As added advantage, the sleeve of the towbar remains largely invisible after the ball is removed. You no longer have a permanently visible towbar on your car, but at the same time, you always have one handy when you need it. After placement, a detachable towbar is optimally prepared for the burden of both bike carriers (vertical load) and trailers, caravans, boat trailers and horse boxes (horizontal load). After the tow ball is removed, the original design of the car remains as intended. This results in system solution that is both beautiful and solid. 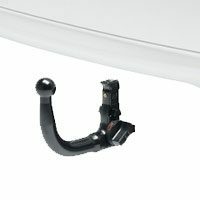 For all types of detachable towbars, the ball can be manually placed and removed extremely easily. It only takes a handful of seconds and a few clicks to get the job done. You won’t get your hands dirty, as no tools, lubrication or grease are required to lock or unlock the ball. Another advantage is that the detachable towbar is maintenance-free. 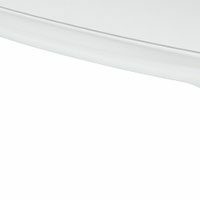 A cover cap is included. You can place this in the sleeve after the tow ball is unlocked, completely covering the sleeve. This prevents dirt from accumulating in the sleeve. A third advantage of a detachable towbar is that your boot lid is better accessible. Because of this, it is easier to load your boot, as there’s no towbar in the way during loading and unloading. We provide a storage bag with our towbars. This ensures you can store the towbar in your car without leaving dirt. The dial on the ball of the diagonal and vertical detachable towbar both have an ergonomic design. The dial is comfortable to use as your fingers, hand, wrist and arm are in a natural position when taking hold of the dial. Because of this, you can ensure an optimal power transmission with a minimal exertion of force when unlocking the towbar. Unlocking the ball of the detachable bike carrier towbar is a quick and easy affair. This dial has arrows that show the two consecutive actions needed for unlocking the system. The detachable towbar offers the same security and strength as a fixed towbar. The adjustable towbar can also make the most of the vertical axle load and the trailer weight as listed by car manufacturers. The locking system has been put through extensive testing for these maximum values and in the most extreme driving conditions. The lock of the diagonal and vertical detachable towbars is very audible. As you lock the ball you can hear a clear click, thanks to ErgoclickTM. This confirms that the ball has been properly locked in place. Whether the lock of the detachable towbar is in place is easy to see. The dial of both systems has a built-in colour indication consisting of colour codes. Green means a successful lock. Red indicates a new attempt is required. All detachable towbars are protected against theft. The ball has a permanent safety lock with a key. You can use this at the times you decide to leave the ball in the sleeve. The design of the lock is such that it is an integral part of the towbar.